Retro with a modern twist, the Allan Aluminum Round Indoor/Outdoor Table is instantly captivating. 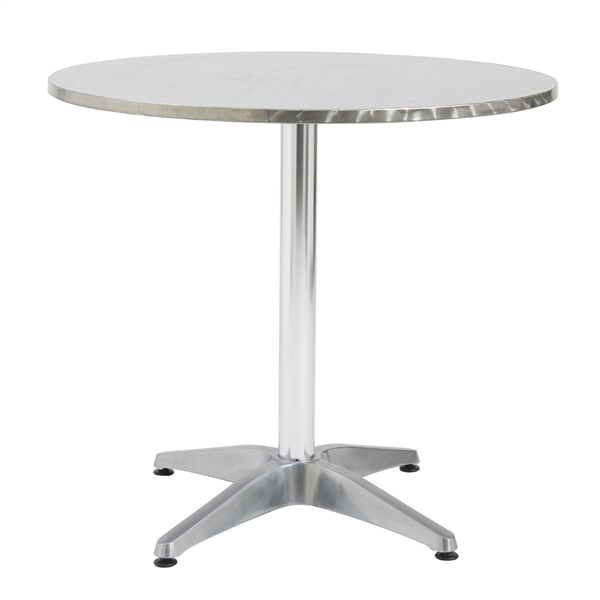 This sleek table features an aluminum base with a round stainless top with wrap around edge. It�s the perfect setting for meals with family or friends, with a chic look that allows you to dine in true style. The Allan Aluminum Round Indoor/Outdoor Table can be used both indoors and outside, providing the perfect gathering space for meals in any setting.